A little tricky getting the right pose here. 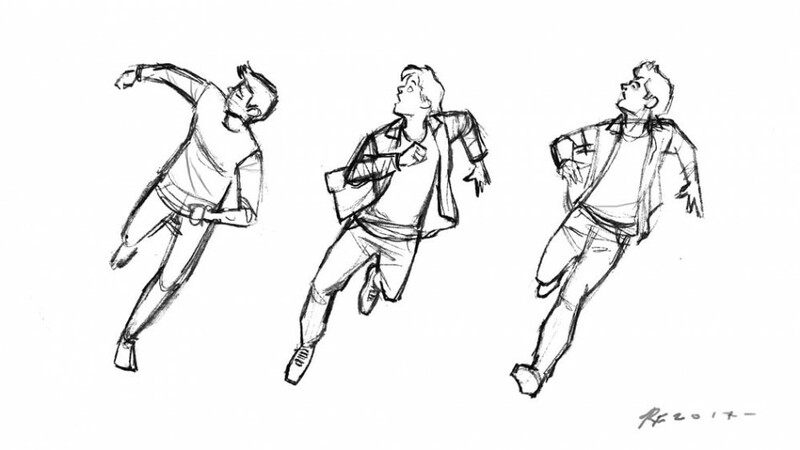 I've gone for the middle sketch here as it has the dynamic I'm after. Fawcett said a good drawing shouldn't come too easy, so that's alright with me!